The landmark Victoria Square development in Belfast City Centre comprises retail outlets and entertainment venues in addition to apartments and a two storey underground carpark. This £4.2 million piling contract was the largest single piling contract in Northern Ireland in recent years taking place over a year’s duration in a FKL/Stent Foundations joint venture. 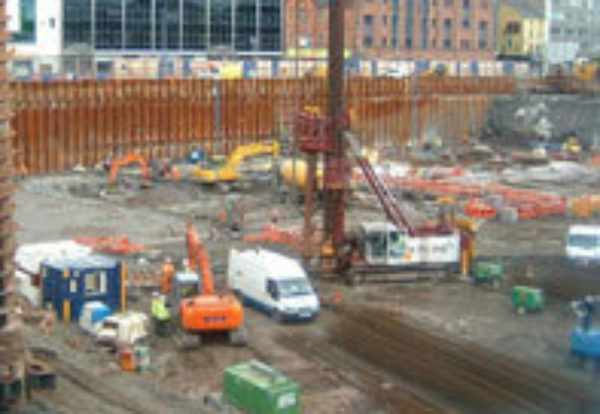 Piles were designed for tensile and compressive loads and were installed both inside and outside the 10 metre deep basement. Rock sockets of up to 4 metres underlie clay and gravels.